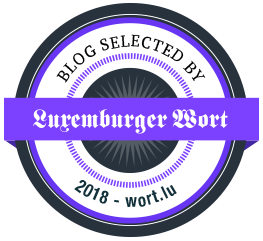 Clothes & Camera - Luxembourg Fashion and Beauty Blog: Micellar Water - What, How, Why? Clothes & Camera: What exactly is Micellar Water and which advantages does it have towards other cleansers? Dr. Michaela Axt-Gadermann: Cosmetic products with micelles clean the skin particularly gently. Micelles are tiny molecules which make sure the cleanser doesn't appear greasy but feels just like water. In micelle cleansers the tensides (detergent substances) are constrained inside the micelles so they can't irritate the skin. As the micelles work like magnets who absorb makeup residues, you don't need to clean your skin with pressure or by rubbing. C&C: The Micellar Water by Garnier promises to clean, remove makeup and calm down the skin. Is it thus rather a makeup remover, a cleanser, a tonic or really an all-rounder? Dr. Axt-Gadermann: The focus of the Micellar Cleansing Water lies on the cleansing, thus the removing of sebum, makeup,... In fact the micelle water adopts all functions for which before you might have needed several cleansing products. C&C: How should I ideally use the Micellar Cleansing Water? Just remove my makeup with it and go to bed or should the process still be followed by other cleansing and care? Dr. Axt-Gadermann: Micellar Cleansing Water is the only cleansing product you need. However it cannot replace a toner or care. The main feature of a toner is to restore the acid mantle of the skin. A facial care provides the skin with lipids and other agents. Both cannot be provided by a cleansing product. 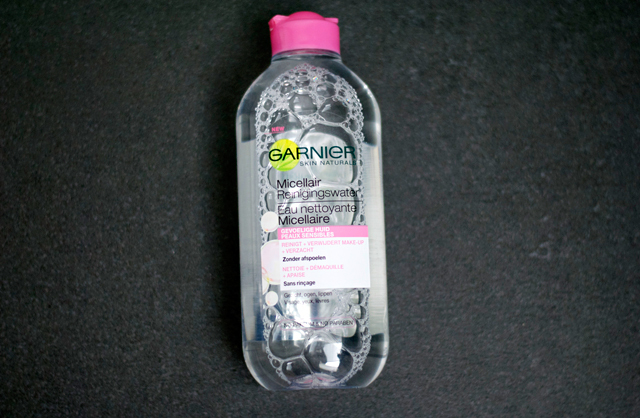 C&C: Who do you think the Micellar Cleansing Water by Garnier is suited for? Micelle waters are suited for sensitive skin, as they can remove without any force makeup, sebum or what ever ends up on your skin during the day. As the tensides are constrained inside the micelles they don't irritate sensitive skin. Basically everybody can try micelle waters as their cleansing is sensitive but hearty at the same time. Having tried the micellar water on several occasion now, I can agree that it doesn't irritate the skin at all and makes it feel fresh and clean. However when it comes to removing eye makeup I prefer my Express 2in1 eye makeup remover which is also by Garnier but contains oil. All in all I probably won't be using micellar water regularly because I find it way too strange not to use real water but I guess it's really handy in some situations (for example on festivals where water is rare or on the go if you wanna refresh your makeup or on the beach if you wanna apply a new coat of sunscreen without pasting your skin). Have you guys been using micellar water before? If yes do you think it has major benefits or is rather an unnecessary product? I totally believe that these work for certain ladies better than others! I've used a few samples of micellar waters but none of them will remove my waterproof mascara/eyeliner so I will not be buying any of them in full size! I've seen a lot of great reviews on garnier's version but I haven't seen this sold here yet! I always use micellar water by Bioderma. It suits my skin the best and always calms my skin down if irritated. I also use it to remove my make up, but when I have a lot of make up, so firstly I remove it with special foam and always always after I use Bioderma micellar water. Looks like a great product. Wonderful!